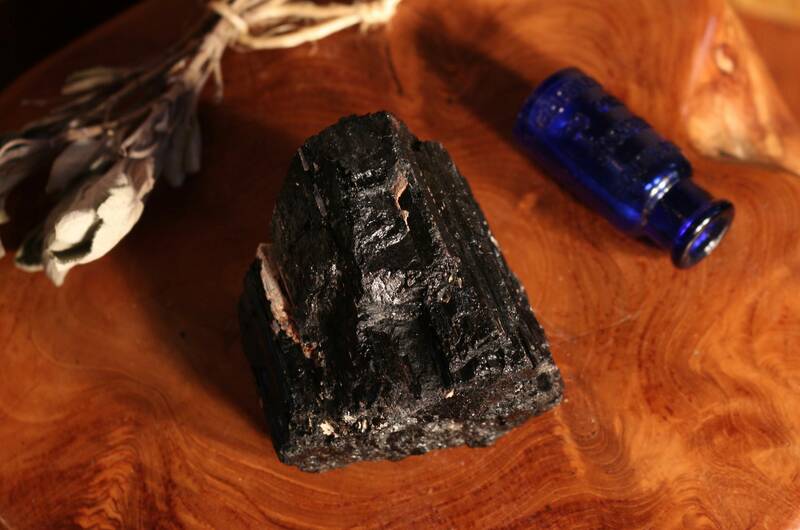 Large Black Tourmaline Chunk 1.10 lbs. 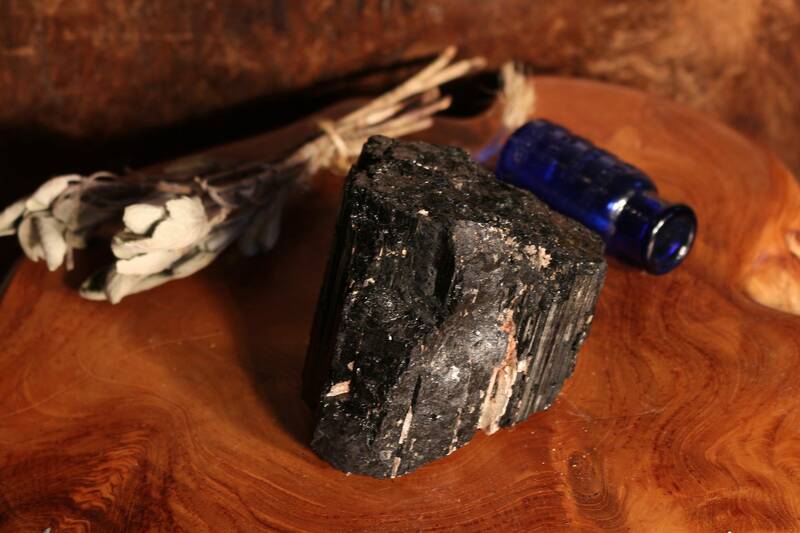 Black Tourmaline has a calming effect when needed, grounding flighty or scattered energies into the earth. 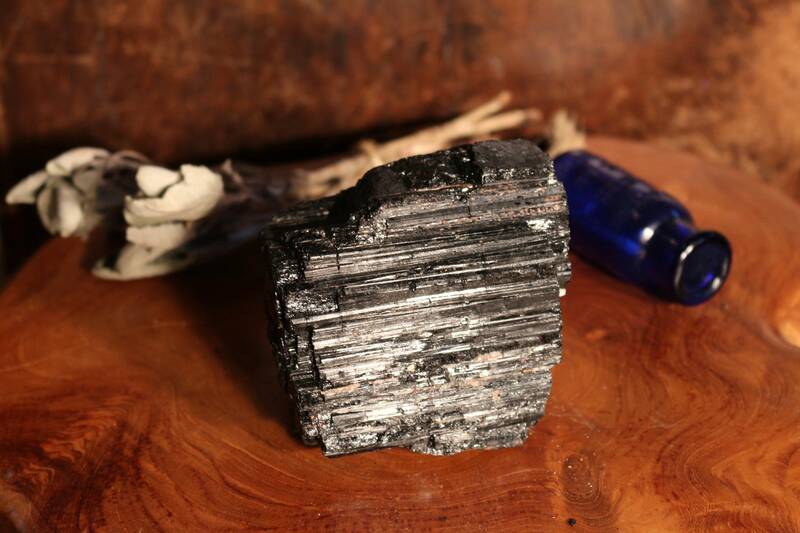 Those who face challenges from negativity, frequent worrying and OCD can work with Black Tourmaline to help heal these issues. 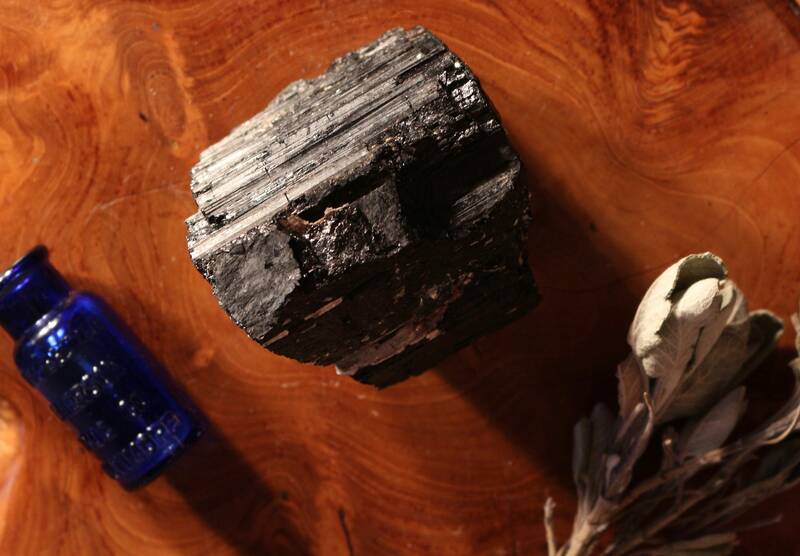 Carry a piece of Black Tourmaline in your pocket to increase physical vitality throughout your day. 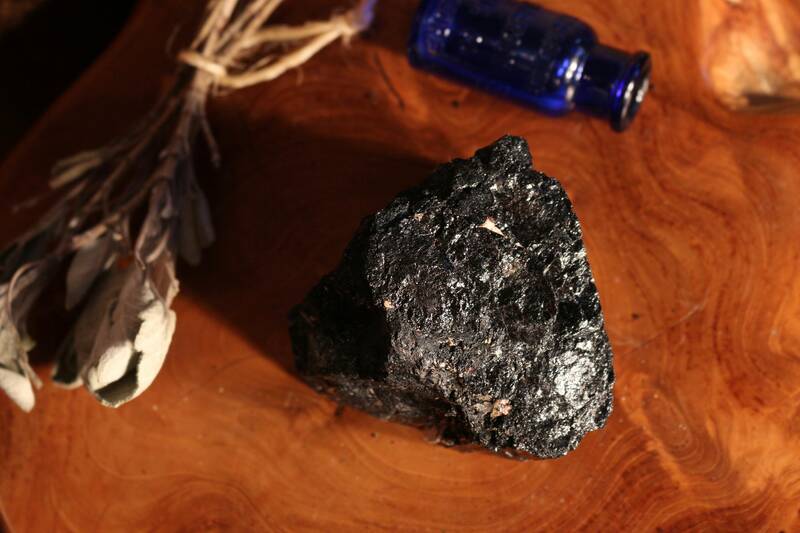 Meditation with Black Tourmaline can enhance the integration of insights and visions into one's daily life. 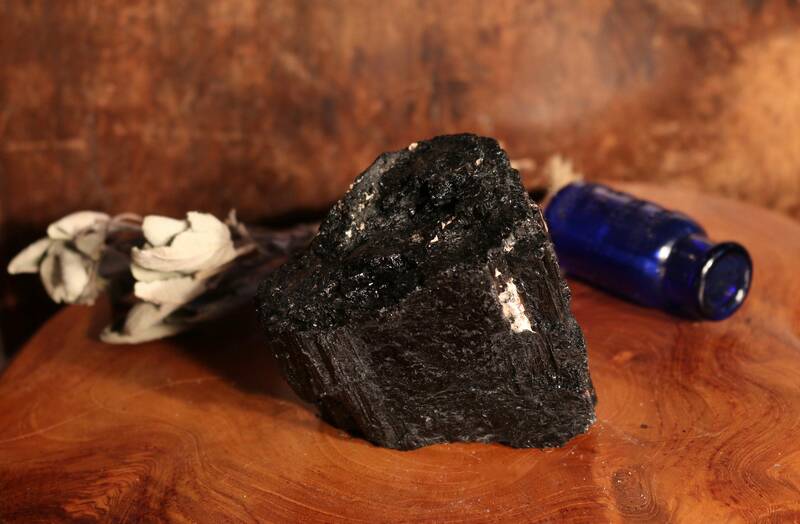 Physically, Black Tourmaline helps to strengthen the immune system, balance the left and right hemispheres of the brain, and detoxify the body. 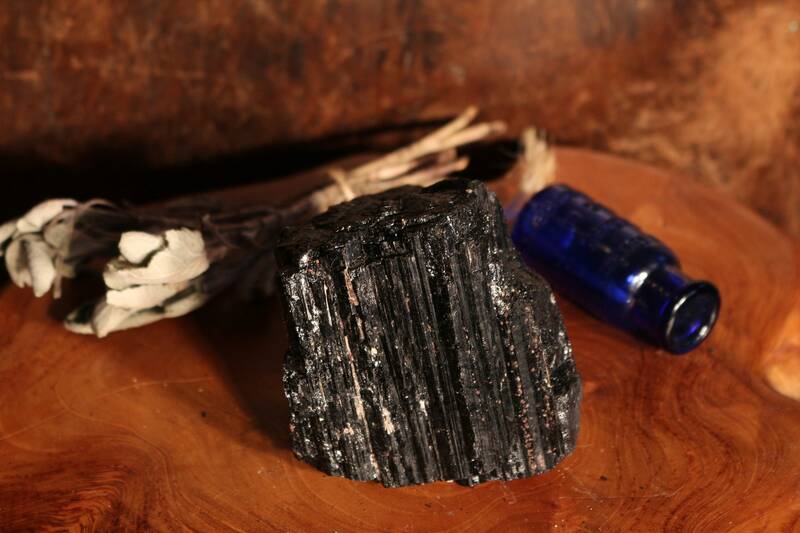 Black Tourmaline is associated with Root Chakra.